Does the world need another horror film set in a haunted house? 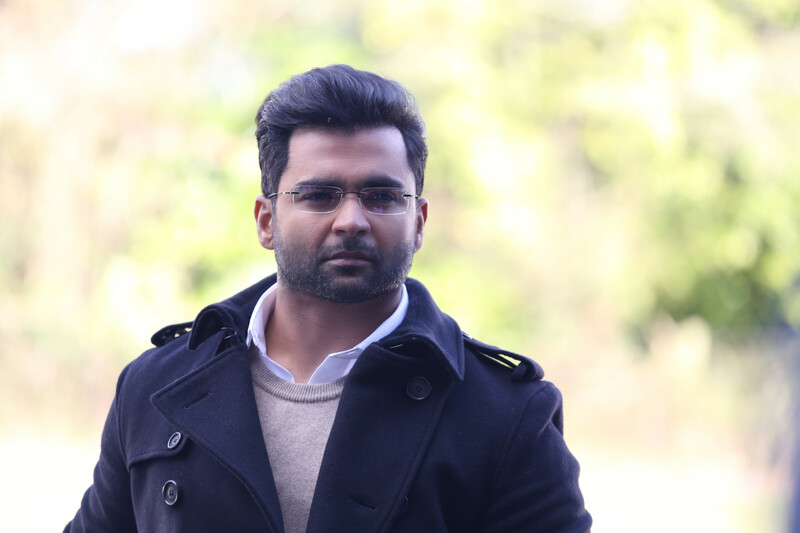 It’s undoubtedly a widely-used horror device, but actors Nargis Fakhri and Sachiin Joshi continue to keep the faith as they roll out their film, ‘Amavas’. Directed by Bhushan Patel — whose credits include gory titles ‘Alone’ and ‘1920: Evil Returns’ — their latest offering is pegged on the usual horror trope around a haunted castle, a loved-up unsuspecting couple who are intent on spending time at the eerie mansion and who refuse to leave even if ungodly things happen in their new home. ‘Amavas’ may be high on tropes, but is not sleaze maintains the actors. Her co-star Joshi claims that ‘Amavas’ is as good as any other Hollywood horror flick. He plays Fakhri’s on-screen partner Karan. Both believe that their film will go a long way in resurrecting Bollywood’s waning reputation with horror films. “Horror is considered to be sleazy and a tainted genre in Bollywood because the audience expects a lot and they compare it to Hollywood. Unfortunately, in Hindi cinema when you make horror films they are focusing on the scares along. They forget about the most essential element — the story. With ‘Amavas’, the perception is going to change. It has a great story and VFX that has never been seen before. It is as good as any other English film,” said Joshi in a separate interview. Q: Tell us about your role in ‘Amavas’. A: My character’s name is Ahana and she’s a strong, lively young woman who doesn’t believe in superstition. In ‘Amavas’, she’s is dating Karan [Joshi]. Q: You have been very choosy about your projects in Hindi cinema. Aren’t you worried about becoming less relevant? A: I don’t really worry about being less relevant, I just enjoy what I do and want to make sure that I am happy with the projects I choose. People come and go in this industry and sometimes people take breaks and come back as well. As long as I am living my life true to how I believe I should, I’m satisfied. Q: How was it working with Sachin Joshi and do you think a couple moving into a haunted house is the biggest cliche in Hindi films? A: It was nice working with Sachin as he’s professional. I don’t think it’s a cliche, I think all films have a formula and that’s just one of the formulas used in horror. Q: What are you all-time favourite horror films and why? A: ‘The Exorcist’, ‘The Conjuring’, ‘The Haunting In Connecticut’, ‘It Follows’, ‘Get Out’, ‘The Amityville Horror’… There are so many favourites. I love ‘Amavas’ for that same reason because I love the horror genre. It’s nail-biting, edge-of-your-seat. It will also reward you with an otherworldly experience that can totally make your imagination run wild. Q: What was the most challenging part about your role? A: The weather conditions during filming in London made it very challenging. We were working in miserably cold conditions, like minus degrees, and the castle was freezing on the inside. All of that made the process of shooting taxing. It took a toll on all of us. Q: There’s a lot at stake. How much are you counting on ‘Amavas’’ monetary success? A: To be honest, my vision is always to provide for an enjoyable experience for viewers no matter what genre I am part of. I just want the film to have a mass appeal, live its fate and stand true to its promise of a good cinematic experience. Q. If you had one supernatural power, what would that be and why? A: To time travel and be part of history and the future at will. What fun would that be! Q. What’s the best and worst part about acting in a horror film? A: The best part was actually getting scared while working on the film. I love scaring myself. The worst part was dealing with situations that come up while working on any project that you have no control over. ‘Amavas’ is out in the UAE on February 7.